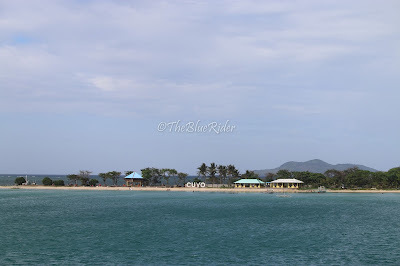 The Cuyo Archipelago (also known as Cuyo Island) is a group of about 45 islands lying to the northeast of the Philippines and part of the Province of Palawan. It is rich in history and culture, unexploited islands and islets decorated with white sand beaches, and built by waves and strong winds. 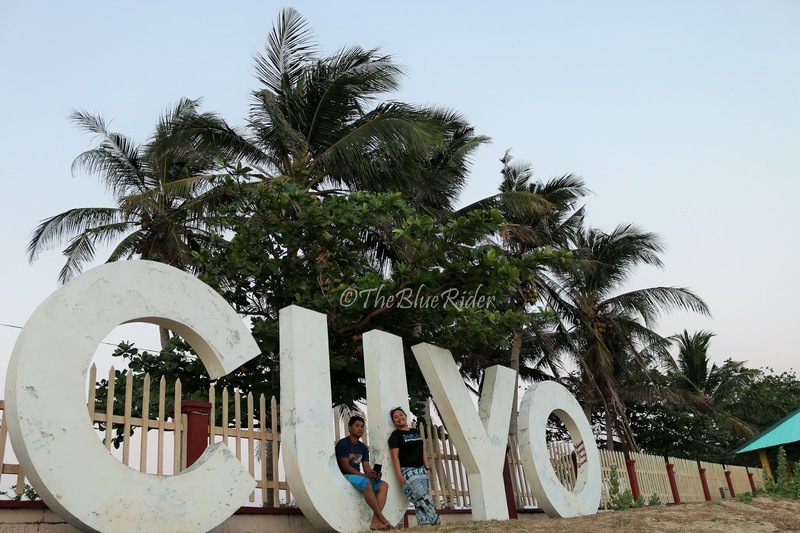 This silent island measures about 57 square kilometers and is divided into two municipalities: Cuyo and Magsaysay. Cuyo is more than just the movie "Ploning." It has a distinct and appealing charm on its own. 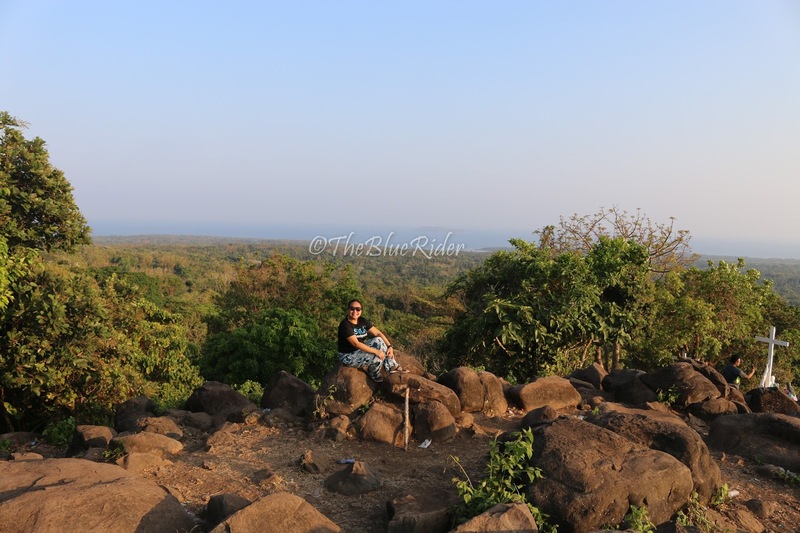 Due to its remote location, the island appears to be less attractive to tourist which is also a blessing in disguise for it has maintained and preserved its beauty. The dream of setting foot on this beautiful, less touristed island has finally been realized. We left Iloilo City on board M/V Milagrosa on a Holy Thursday past 7 in the evening. 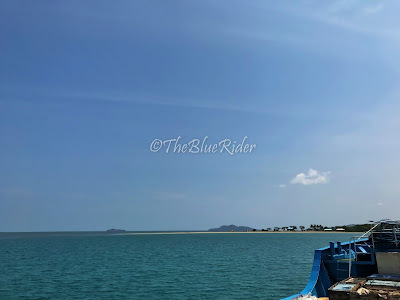 Cruising the Sulu Sea at a maximum speed of 8knots/hour, we are set to arrive at around 8 in the morning in Cuyo Island but we got a glimpse of the island from afar past 9 in the morning of Good Friday. We finally disembarked at 10 in the morning. The long white sand of Capusan Beach greeted and it was truly a treat to my eyes after that long travel. I said to myself, "Well, this is more than worthy." We had lunch at the restaurant in our Place (La Premiera) and took our much needed rest before we start exploring. Our first stop is to Trek Mt Aguado. It's some 3kms from the town proper and located in Brgy Balaguen. 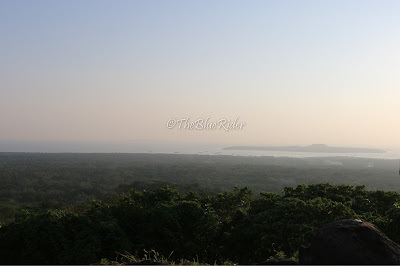 At 4 in the afternoon, we found ourselves way up Mt Aguado. Just in time for Good Friday as this Mountain features life-size Stations of the Way of the Cross constructed from the foot to the peak of the mountain. 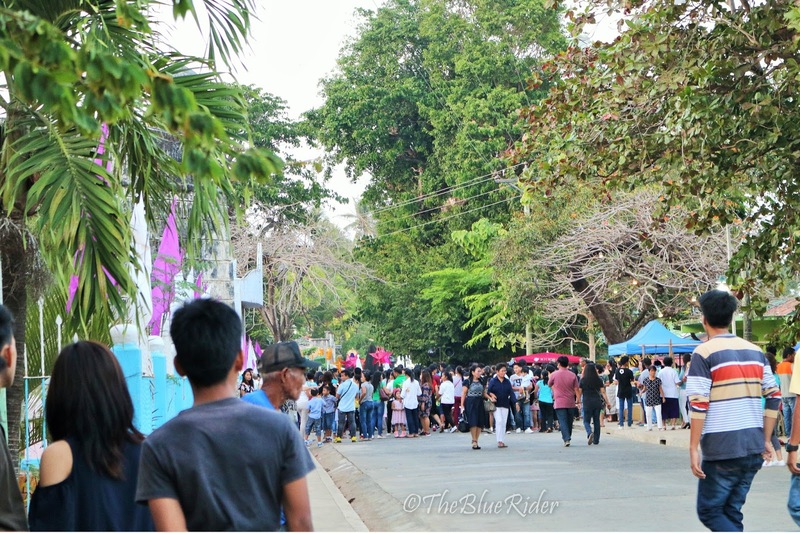 It is said that Cuyonon, visitors and tourists make their Annual Pilgrimage to Mt Aguado as part of their penitential rites during the Holy Week particularly on Holy Thursday. From the foot, you will never get lost as there is a trail leading to the top. Upon reaching the summit, you are afforded some nice views over the island of Cuyo. hey are not 360 degree panoramic views, as you have to peer through the tree line, but they are nice enough. After the climb we explored the town. 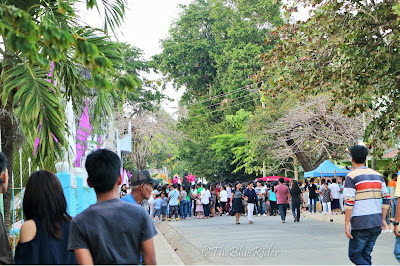 The Good Friday procession is about to start when we passed by to watch the sunset. 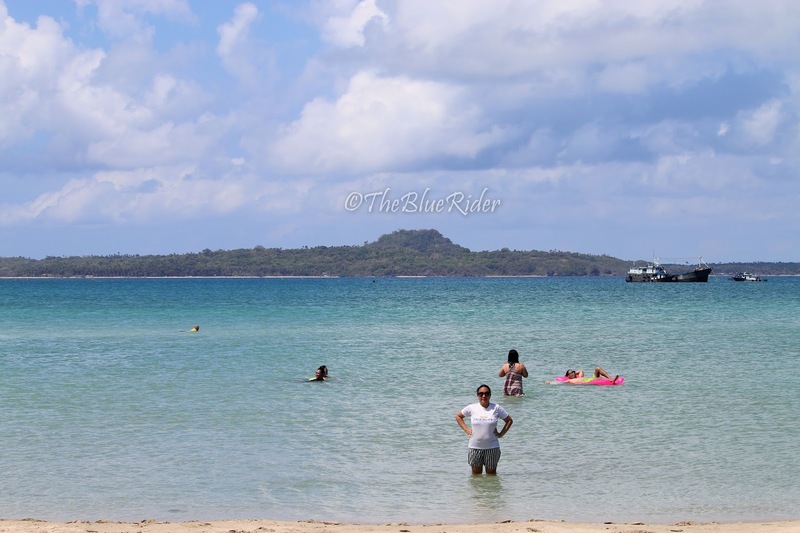 Our Black Saturday started with a splash at Cuyo's Public Beach: Capusan Beach Resort. Been wanting to swim here upon laying eyes on its white sand and clean water from the boat. Cuyo Island is also a place to do Kite Surfing. We found some locals and foreign Kite Surfers doing their thing. After some good splash at the White Beach, we rested a bit and started our inland exploration that day. It was 4 in the afternoon when we started our way going to Anino Beach Resort. 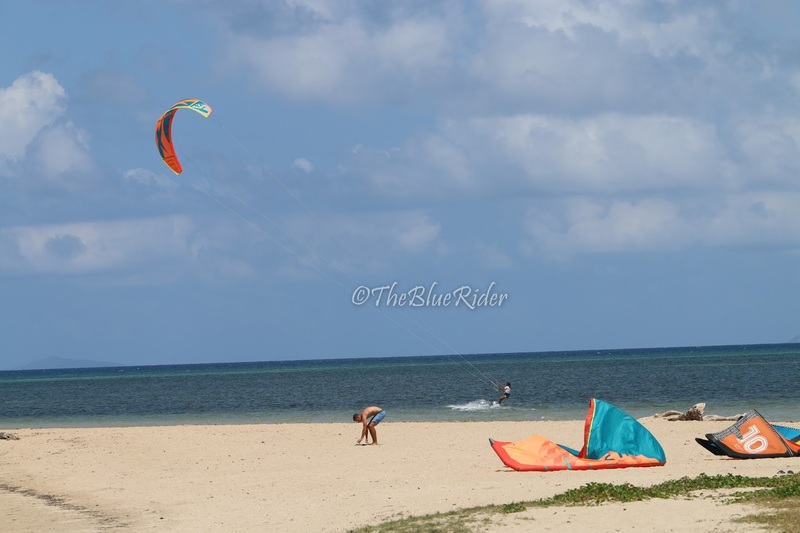 It's another resort that caters kite surfers. Travel time from the town center takes about 30-45 minutes. Bumpy and dusty roads is inevitable but the serene place will give you the rest and peace of mind you needed. We also visited the St Augustine Church and Fort in Cuyo. The town is a typical Spanish era set up where a church, a school, a plaza and a market is located next or adjacent to each other. It's Easter Sunday! Yey! This means, today is our Island Hopping day. We are set to explore the islands in the northern section. Our target is Cocoro, Tagauayan and Siparay Islands. It was a cloudy and windy day when we started sailing the open sea and you can only imagine what's next. The waves weren't that sail-friendly that time but we have survived it. After an hour and a half we reached Cocoro Island. This is a big inhabited island and part of the Municipality of Magsaysay. It boasts a cream-colored sand beach, not really a white sand but somewhat more of a dirty white in color. The island doesn’t have a modern resort but there are some open cottages near the community. This also features a saltwater lagoon where one can swim but be careful with sea urchins though. We had lunch here and off we go to the next island destination which is Tagauyan Island. It's another 30-minute boat ride from Cocoro Island. 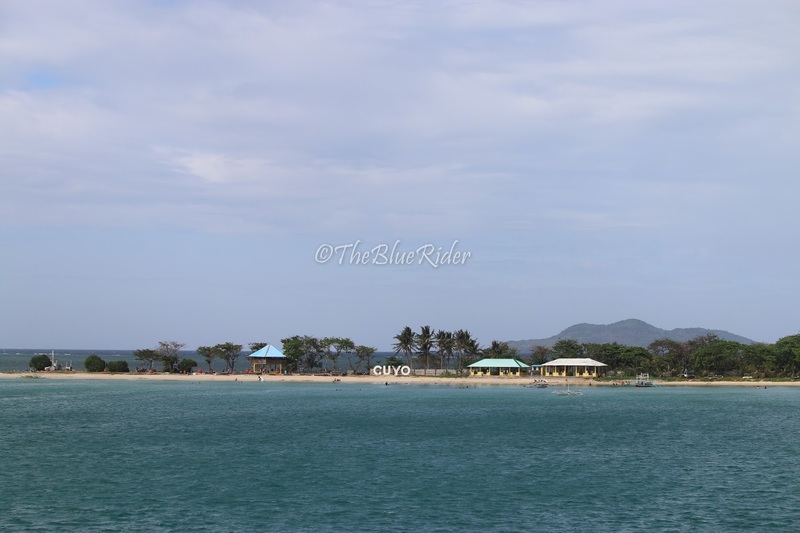 There are no resorts as well but there is a community living on the other side of the island. The island has a few hundred meters of white-sand beach. There’s also a marine sanctuary in the island where you can swim and snorkel but there’s a part in the island where the current is a bit strong. There are other islands in Magsaysay but weren’t able to explore them since we were on a tight schedule and the waves are a bit rough that day. We content ourselves with the two beautiful islands and sail back to the mainland at 4 in the afternoon. It's time to go home, but wait, there's more. We line up at Milagrosa Shipping Lines office early in the morning to find out that the boat is in its full capacity upon leaving Puerto Princesa City and have few slots left for Cuyo's residents/tourists. To make the story short, we weren't able to board the boat that day. A series of unfortunate events came one after the other. 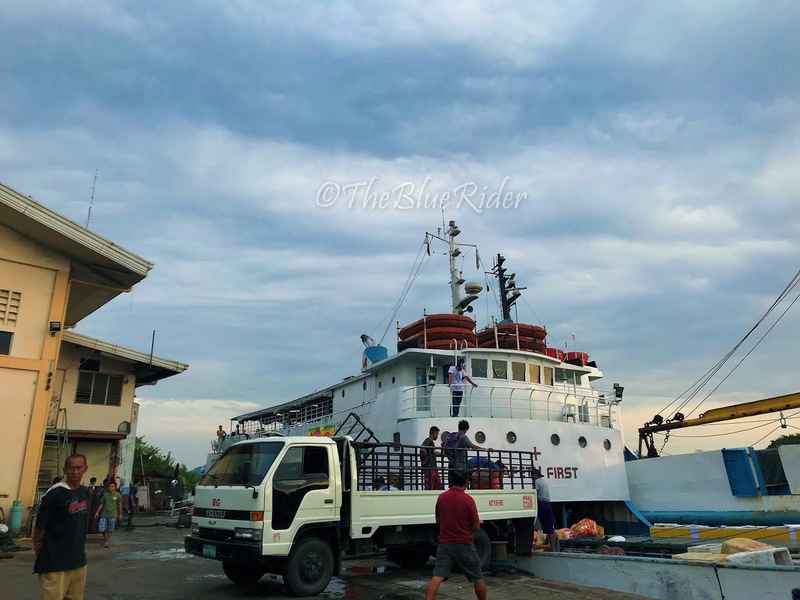 The regular schedule of the boat will not be followed that week as they have to cater passengers going back to Puerto Princesa from Cuyo. We will be able to get ourselves on board on Friday (that's 4 days away from today, sigh) So guys, prepare for things like this to happen. On the bright side though, we have more time to explore the island which I have learned to love. It's simplicity is very appealing to me. We opted to check out Cuyo's Airport which serves Air Juan and other private planes going in and out of the island. It's a 30 minute ride from the town center and located within the boundaries of Barangay Lucbuan and Emilod in the town of Magsaysay. Next stop is Aceros Park which they call "Little Baguio." but It's named after Baguio because of the cool temperature when you walk on a concrete steps under the canopy of trees. It;s a quaint spot shaded by many trees and thickets. There were concrete pools of spring water where locals bathed, washed their clothes and collected fresh water from. 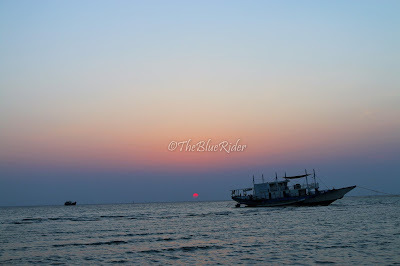 Taking a break from exploring, we just spend the day lounging in Capusan Beach and watch another romantic sunset that day. It's another Island hopping day. 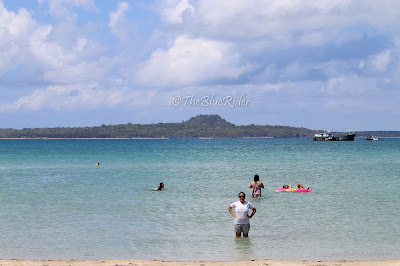 This time we are exploring the southern Islands: Bisucay, Pandan and Bararing. Bisucay is a 30 minute boatride from the mainland. You will be greeted by emerald green water on one side of the island but that part wasn't swim friendly because of the strong current. On the other side, you will see a fishing port where water is calm and still and you will be able to swim and see fishes from the shallows. We grilled the fish we bought so we can have our lunch to the next island stop. We are still doubtful if we will be able to reach Pandan Island but when the boat started its engine the boatman gave a 'Go' signal upon seeing the waves. We had lunch in this part of the island after almost 2 hrs of boat ride. This island doesn't have shadesat all except for this one. We content ourselves with the shade it gave and fill in our tummies with a great lunch. This side of the island isn't ideal for swimming though because of the strong waves, but I had to admit, this is one hell of an island. The water is so clean plus the great weather on that day make it picturesque. The other side of the island though has still water where one can swim but be careful as the rocks can either be slippery or pointed. 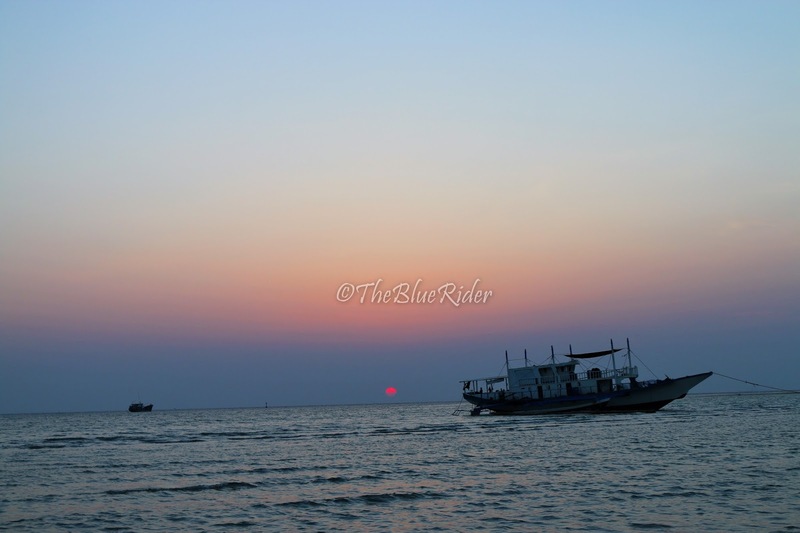 Our next and last stop is Bararing Island. It's almost an hr boat ride from Pandan Island. It's a rocky islet off the coast of mainland Cuyo and can be seen even on foggy days. Time to go home, finally. This town is as beautiful as I imagined it to be. 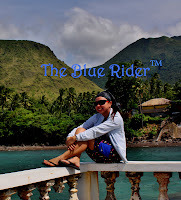 From a tourism perspective, it has many challenges, but the potential is there - island hopping, beach camping, mountain biking, snorkelling (although it may take some time to regenerate the corals), and of course, kiteboarding. NO ATM Machine available but there are stores/banks that has POS terminals which you can get cash for a minimum charge. I will be back to experience more of this beautiful and charming island. Thank you Cuyo for an awesome summer experience.